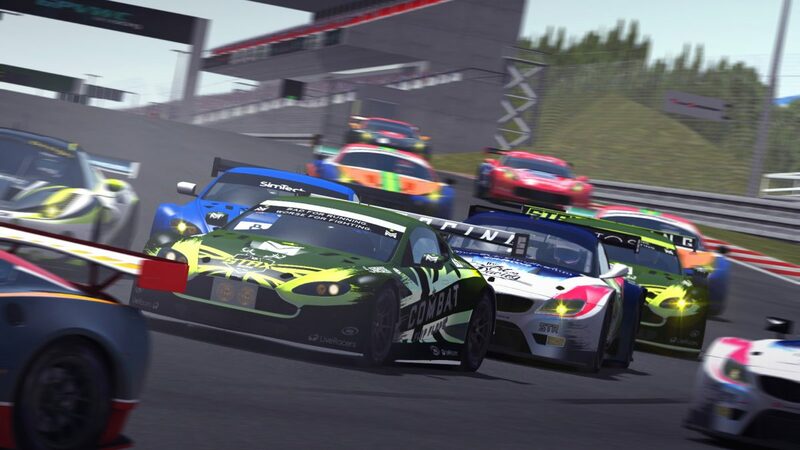 The 2016 World GT Series was the fourth running of the GPVWC World GT Series. Luis Felipe Capamadjian was set to enter as the reigning Drivers’ champion however failed to make a single round of the season. Scuderia Basilea though did return to defend their Teams’ title. Ultimately, Estonian Risto Kappet ended up dominating the entire championship winning all races barring the last of the season which he did not attend. His team, Streetfighter Racing Systems, were crowned the new Teams’ champions. This was the first series STAX Racing entered, fielding an Aston Martin Vantage GTE. The team announced on their Facebook page that Diego Carranza and GPVWC veteran Andrew Waring are their first ever driver line-up, with Formula Challenge racer Geoffrey Fournier taking up reserve duties. Carlos Andres Ladines was signed after Race One to be the team’s new reserve driver, while Fournier stayed with the team as an emergency driver with an advisoral role. The opening round was the Japanese GT Cup at Fuji. Since there were only days between the announcement of the participating teams and the first round, the team’s goal was to of bring both cars home and gain valuable experience with the car. Fournier substituted for Waring, who had problems with power outages. He went on to score points on the teams’ first ever race with P8, while Carranza finished P19. Race Two, the Brazilian GT Cup, was held in Interlagos. The two STAX Racing cars were in points scoring positions at all time, until Waring experienced technical problems that forced him to retire. In the end, he was classified in P22 as he completed over 75% of the race distance. Carranza finished in P8, equaling Fournier’s result from Race One. Waring’s technical problems persisted during practice for the third race, the inaugural Turkish GT Cup at Istanbul Park. After consultation with the team, he decided not to start in the race, which meant that Ladines would take over his seat for the race. He qualified in the Top 10 and held P8 during most of the race. Carranza qualified further back on the grid, but was able to steadily gain positions during the race. Both drivers benefited from the fact that the Ferraris had to do one pitstop. In the end, Carranza finsihed P11, his second consecutive point scoring position. Ladines, who, in the build up to the race stated “that he was not comfortable with the track at all”, finished P3 in his first race at GPVWC. This also meant he achieved STAX Racing’s first podium finish. In the build-up to fourth race, the Belgian GT Cup at Spa-Francorchamps, it became apparent that Waring’s technical problems could not be solved easily. He thus agreed to let Carlos Andres Ladines drive alongside Diego Carranza for the rest of the season. Andres Ladines qualified 2nd for the race, the best qualification result for the team so far. Carranza encountered heavy traffic on his qualifying run, resulting in him starting further down the grid in P22. The race saw Carranza steadily gaining positions through consistent laptimes and some great overtaking maneuvers. In the end, he finished the race in P7, extending his run of finising in the points to three races in a row. Carlos Andres Ladines lost a place at the start, but ran in the Top 5 for all of the race. Once again, the Ferraris had to pit for fuel, which meant that Ladines finished in P3, the same position he finished the race before. The fifth race, the Czech GT Cup, was held at the Brno Circuit. Diego Carranza qualified in 9th position, while Carlos Andres Ladines qualified in P4. Diego Carranza had an eventful race on a track he didn’t particularly like. In the end, he finished in P11, further extending his run of finishing in the points. Carlos Andres Ladines found himself in second position after a great start but lost one place to James Johnson during the race. Ultimately, he finished in third place, achieving a hattrick of finishing in P3 in just three starts. In the build-up to the sixth race in Silverstone, Diego Carranza told the team that he would be unavailable to race. This meant that, at the upcoming British GT Cup, Geoffrey Fournier would race in Diego’s place instead. This marked Geoffrey’s second start for the team, after he started in the inaugural race of the season. With limited testing beforehand, Geoffrey did well to qualify in P13 while Carlos Andres Ladines started from sixth position. After a frantic start, the two STAX drivers were running very close to each other in P6 and P7. As the field settled down, they gained another place and looked to continue the team’s record of consistent finishes in the points. After forty minutes, Geoffrey let Carlos pass, since he was fighting for a good finish in the championship. With seven minutes to go, just as the first Ferraris in front of the STAX Racing cars were beginning to pit, the race was red flagged because of a mass disconnect. This meant that Carlos finished the cut-short race in P5, followed by Geoffrey in P6. The final race of the 2016 season was held at the Circuit of the Americas in Austin, Texas. Geoffrey Fournier substituted for Diego Carranza for the second race in a row, but had a back of the grid penalty from the previous race, which meant he had to start last in P16. During the race, he was slowly gaining places until he had an incident with Epic Racing’s Christoph Lichtenstein. While Christoph showed good sportsmanship and allowed Geoffrey a re-pass, the gap to P11 was too big for Geoffrey to close down in the end and he finished the last race of the season in P12. Carlos Andres Ladines was not expected to participate in the race. Prior to the race day he informed the team that he would be unable due to work commitments. However, in the last moment, some rescheduling meant that he was available to race, albeit with no practice beforehand. Nevertheless, he was able to qualify in P3 and after a stellar start, found himself in first place before the first corner. Thomas Jacobs however was following him very closely in the opening part of the race and Carlos was unable to gain a big lead over the TSA driver. Ultimately that lead to Carlos losing concentration and Jacobs was able to pass him on lap 7. In the following laps Carlos tried to follow Jacobs without consuming too much fuel, allowing him to lead by not more than 2 seconds. In the last third of the race, ST Racing’s Borja Millan closed up to the leading pair, contributing to exciting last laps. Carlos tried one last attack on Jacobs, but to no avail. Shortly after the battle, the race was cut short by yet another server issue. In the end, Carlos was classified as having finished in P2, STAX Racing’s best result so far in it’s short history. He also achieved STAX Racing’s first ever fastest lap of the race. STAX Racing finished their first season as third in the Constructor’s Championship. Despite not starting in the first two races, Carlos Andres Ladines ended the season in fourth place. In five races, he was able to finish on the podium four times (three times in P3, once in P2). Diego Carranza started five races as well, finishing four of those in the points. In the end, he wrapped up the season in tenth place. Geoffrey Fournier, the team’s substitute driver, was called to action three times. It should be noted that every time his services were required, he finished in a points scoring position. In the final driver’s championship table he was a creditable fourteenth. Andrew Waring started one race for the team, but computer problems forced him to retire in that race. One DNF in his only start means that he was classified forty-ninth out of fifty starters in the end results table. Races in bold indicate pole position, races in italics indicate fastest lap. † Cars did not finish the Grand Prix, but were classified as they completed over 75% of the race distance.